Just outside my house, but found through a photo on instagram :) A cat visited me while photographing, notice the catface on the cats head. Oh, how fun! Beautiful nature with a touch from human beings. love it and that the cat is curious about it! i love the way you notice detail. Did you braid the grass, what a novel idea...must try with my kids! Vet inte vad som är finast. Katten eller gräset. Eller det någon har gjort med gräset. Eller det någon har gjort med kattens huvud. (Gud?) :). How magical, both the braid and the cat! 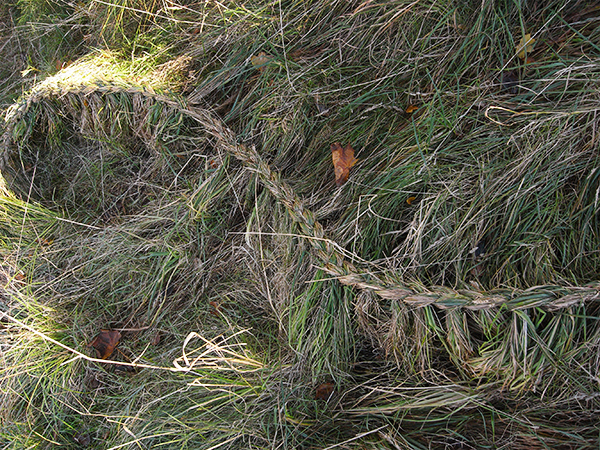 The braided grass looks like it belongs to a dragon named Rapunzel. You have a wonderful eye; the cat on a cat it subtle, yet captivating. 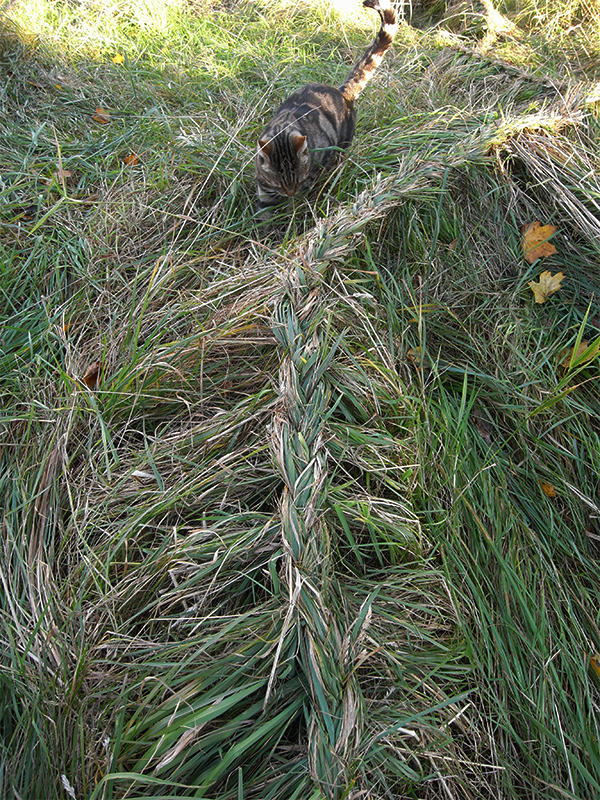 Wonderful grass braid. I wonder if the cat gets extra lives for his tattoo? That´s pretty. And the ace of the cat! 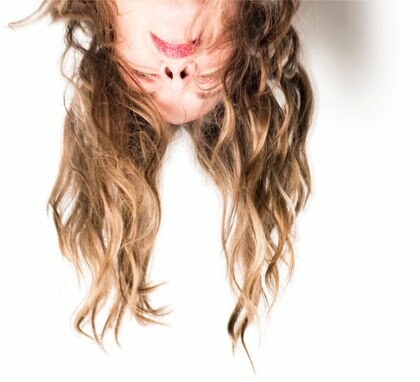 Love that feline face on that feline's haired head. What keen eyes you have, my dear. love love love all about this post! Wow, really beautiful, dear Camilla! Those braid of grass... and I noticed a Antelope on cats head, wonderful! cool grass (who did it? 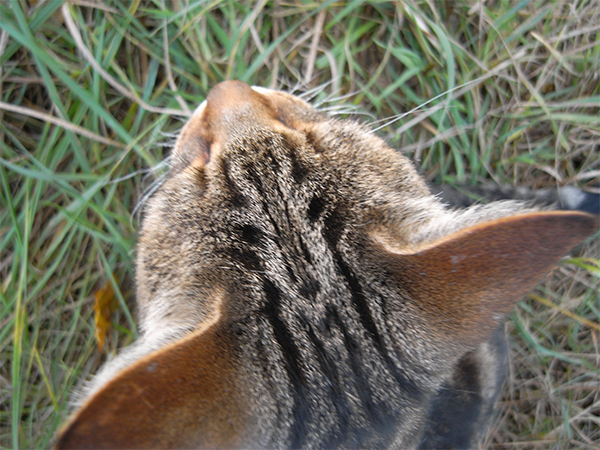 ), cool cat face on the cat's head!